You will enter The Villa from the West with the Kitchen Island to the left and a cozy sitting area to your right but you will be drawn into the Great Room facing East to the breath-taking view that unfolds through over 60’ of glass. 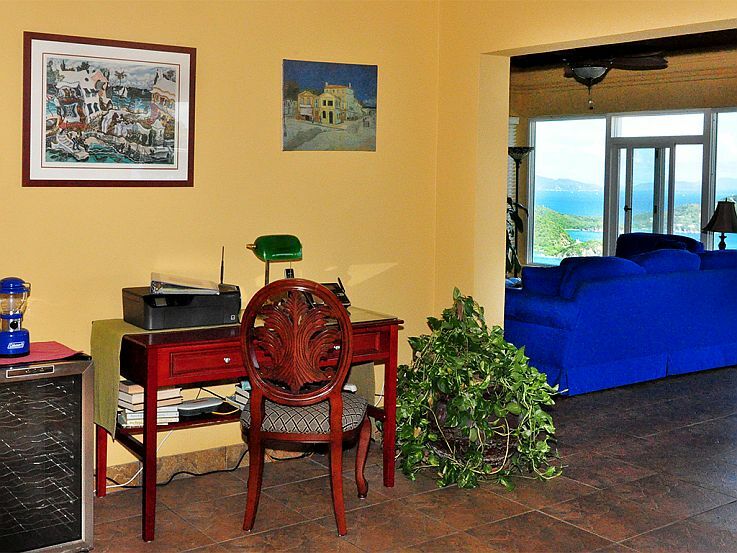 No matter where you are in this room, lounging by the flat screen TV, dining at the 12ft Basque table, or reading on the settee, you will be framed with a panorama stretching from the distant hills of St Croix to Tortola’s Sage Mountain. MoonSwept Villa St. John is a Two-Bedroom/Two-Bathroom Private Villa. Accommodations for 2 to 6 guests with a Queen-sized sofa bed in the Great Room. You will find everything you need in our user-friendly Kitchen. The ceramic top electric stove & oven, microwave oven, blender, toaster, dishwasher, side by side Fridge/Freezer with ice maker and a wide variety of cook & bakeware will more than satisfy your needs. MoonSwept Villa has plenty of cozy spaces in which to congregate, yet you’ll never feel confined. The colors, the artwork on the walls, the furniture and all of the small details of the design are elements mindfully added over time to maintain an environment in which each visitor can feel at home. 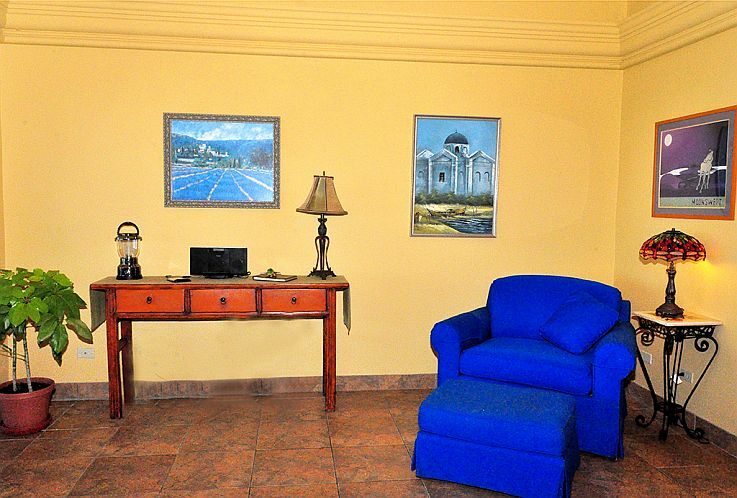 The spacious bedrooms are well appointed with King-sized “Heavenly Beds”, flat screen TV’s with cable and DVD and an iHome for your personal listening, and air-conditioning. King sized Heavenly Beds in both bedrooms. Both Bathrooms are beautifully tiled and roomy. One is private to the North side bedroom the other has double access and is equipped with a Washer & Dryer. The on-site manager lives in the apartment beneath MoonSwept. The caretaker is there if you need maintenance, concierge services, or for seasoned advice on island activities and anything else you might want to know, but your vacation privacy is, of course, completely assured. The Sun and Moon soaked poolside patio has a large shaded area as well, with four lounge chairs a Weber gas grill, outside dining for 6 and of course the 12’X20′ Solar Heated swimming pool and Hot Springs Spa.